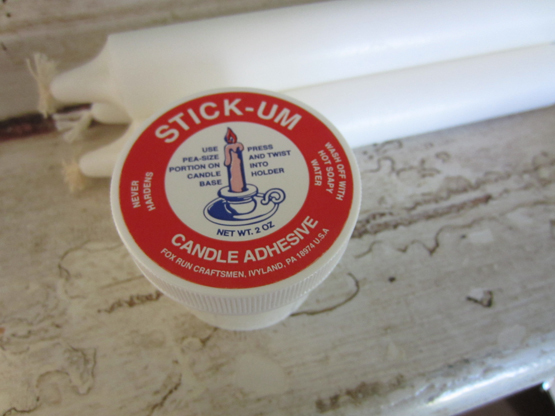 This wax-based formula keeps candlesticks in place. Simply place a pea-sized portion into the base, press and twist the taper in. Never hardens, washes off with hot soapy water.